This was simply one of the loveliest weddings I have had the opportunity to photograph. It was so low-key, the colors were so bright and beautiful, the guests were kind and fun and Kelli & Ryan were so excited to get this day moving along. There wasn't a moment that Kelli didn't have a smile on her face. 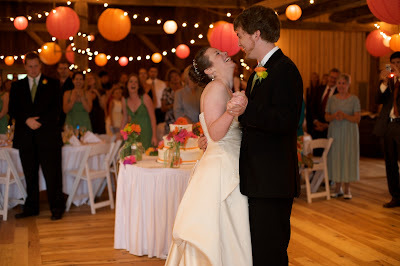 Their wedding took place at Armstrong Farms. This was our first chance to photograph there and we LOVED it. Endless opportunities to capture some really terrific photographs. The best part was that Kelli & Ryan allowed us time to photograph them before their wedding, which I highly recommend. You would think that would take away from the "first look" of the groom seeing the bride for the first time coming down the aisle but I beg to differ. We were able to capture the most romantic and private meeting of Kelli & Ryan after they were both dressed. Kelli got ready in the farmhouse, Ryan got ready in a room at the barn and they met outside privately (with 2 photographers hiding in the background ;-)). It was such a wonderful moment. She walked to him as he had his back turned and then he turned around to see the most beautiful woman in his world. No one around, no one watching, just 2 people in love on one of the most important days of their lives. Perfect. Pay special attention to the flowers. I absolutely adored them. So bright and beautiful. It was a perfect addition to the rustic overtone of the day.